Here we shall look at the best firm mattress topper for back pain. Why should a firm mattress topper help reduce back pain? Most people would guess that a soft mattress that provides more comfort would be better. The fact is, if you understood more about how your sleeping position affects your spine, and how it can either promote or reduce back pain, then you wouldn’t ask that question. First, we shall provide our six best mattress toppers for back pain reviews 2019 then provide a ‘Buyers Guide’ to help you choose the topper best for you. 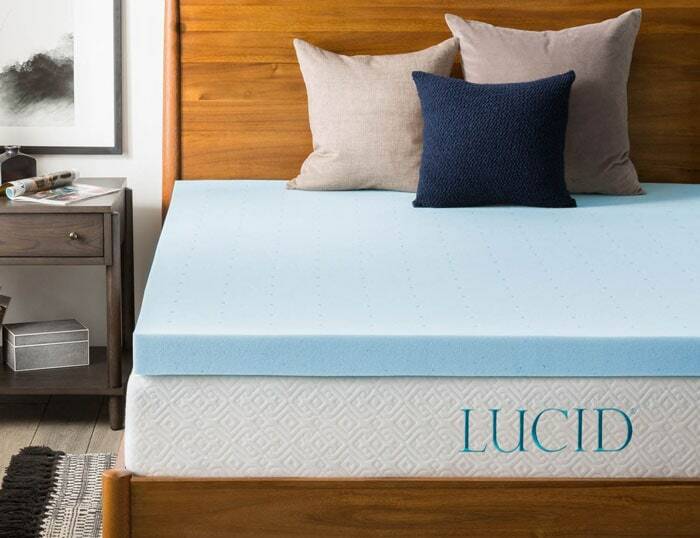 Here are our 6 best firm mattress toppers for back pain reviews for 2019. The Ultimate Dreams Talalay latex foam mattress topper is available in most popular sizes. It is available in three comfort levels: Soft, Medium and Firm, and it is the Firm version we are reviewing here. Talalay latex provides a higher level of pressure relief for your spine than regular Dunlop latex does. This topper is encased in a bamboo cover and is ideal for those that suffer from allergies. It is resistant to sagging or bunching and will support your spine more than adequately to avoid any future back issues. High level of pressure relief for your spine and lower back. Claimed to provide up 33% more pressure relief than more conventional types of foam. Anti-allergenic, so good for allergy sufferers. 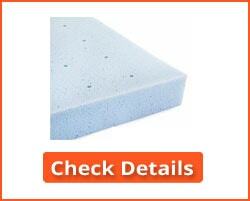 Resistant to sagging and flattening, unlike many other types of 3″ foam topper. Very few issues have been reported – one or two about lack of support, but generally OK.
Warranty details available only from seller’s website. Editor’s Notes: The way that Talalay latex is manufactured gives it an advantage over standard Dunlop latex for those that suffer back pain. Talalay latex provides more support and is overall the best form of latex for support and back pain. It absorbs pressure better than Dunlop latex or polyurethane foam and preferred where support for the lower back and spine is needed. This Best Price memory foam mattress topper is constructed with 1.5 inches of memory foam over 2.5 inches of high density support foam. Apart from it being a firm topper offering good support for your back, it also isolates you and your partner’s movement in bed, so neither of you is disturbed when the other moves. The zippered polyester mesh cover provides good breathability for the topper and is also easy to remove for machine washing. If you suffer back pain, particularly in your lower back, then this is an ideal mattress topper. It saves you having to purchase a new firm mattress! It is also CertiPUR-US certified to be free from common harmful substances and ozone depleters. Memory foam on top for comfort with high density foam below for lumbar support. Zippered cover for easy cleaning. Supports your spine in any sleeping position, and helps keep it in a natural position. The 4″ thickness provides additional support. The memory foam layer is too thing to expect the full memory foam experience. Some complaints about this topper being too soft. Editor’s Notes: The 1.5″ of memory foam is insufficient to give you the full memory foam experience, but it does offer a degree of comfort on top of the 2.5 inches of high density firm foam. This is a good construction for a firm mattress topper for back pain. The gel memory foam in this mattress topper renders it a bit softer than others. While it may not be truly ‘firm’, this type of foam correctly aligns your spine, and provides the pressure point support needed by those suffering back pain, particularly pain in the lower back. The gel also absorbs heat, keeping you cool during the night. Additionally, this memory foam has been constructed with a ventilated design that enables a free flow of air through the topper. This is a good mattress topper for back pain because of its localized support for those areas of your back that need it. It offers support for your lower back that helps to relieve pressure on it and hence reduces pain. The gel and the ventilated construction enables you stay cool during the night. Provides comfort while also supporting your lower back and your pressure points. Some think it too soft for them, although its benefit for those with back pain lies in the way it supports your spine. Keep the spine in the correct position, and then you may find you back pain reducing. Generally nothing else of importance. Editor’s Notes: While this mattress topper is not particularly firm, it still enters our list due to the way it supports your spine. Not all sleeping surfaces have to be firm in order to help reduce back pain. Sometimes all it needs is support where you need it – and this is one of these mattress toppers that give you this: support where and when you need it! The Pure Green latex mattress topper is available in a selection of thicknesses. We are reviewing the King size at the maximum of 3 inches thickness. This is a 5lb density topper with a firmness rating of 30 ILD. Not many mattress firms provide the density or firmness rating of their products, so it is not possible for us to compare these figures between different products. This topper is ideal if you prefer natural mattress toppers. The open cell structure of natural latex promotes a good flow of air through the topper. However, it does not mean that it will keep you cool. 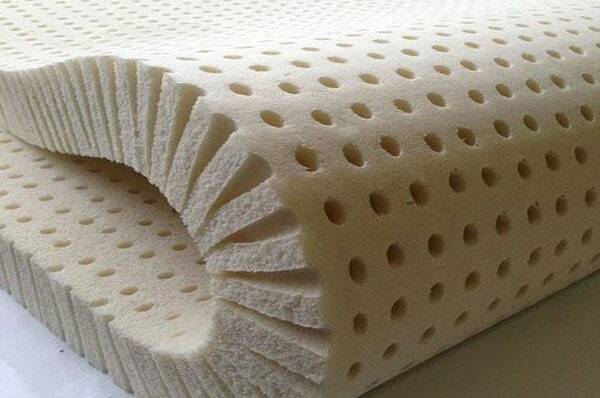 What it does do, however, is to provide an insulating layer between you and heat-generating memory foam or polyurethane foam mattresses. 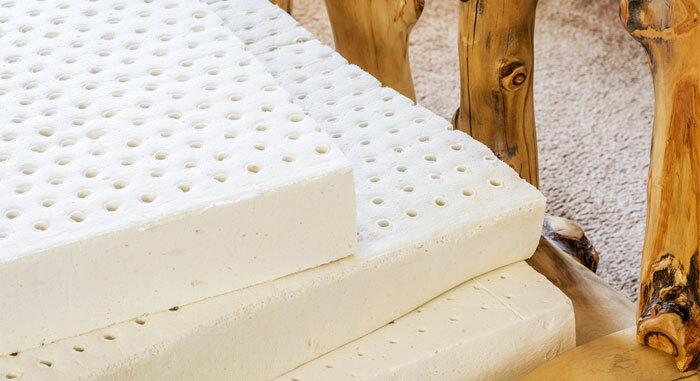 Natural latex provides a firm top to your mattress. The level of firmness is good for those suffering back pain – particularly in the lumbar (lower back) region. Resistant to microbes, dust mites and is hypoallergenic – meaning it is a good choice if you suffer from allergies. Available in thicknesses of 1″ to 3″ in all sizes from Full upwards: smaller sizes up to 2″. 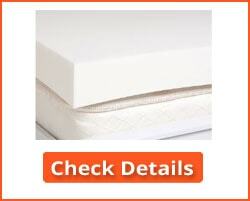 An excellent choice of mattress topper if your existing mattress is too soft for you. Regards warranty – you must contact the vendor to get warranty information. 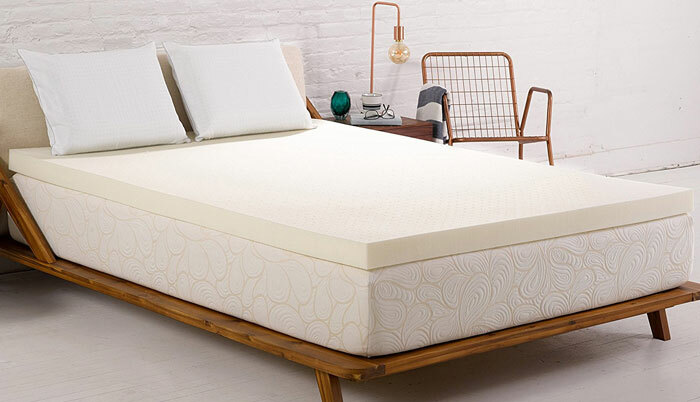 Editor’s Notes: If you prefer to go for a natural foam, then this Pure Green 100% natural latex topper will be perfect for you – particularly if you have back pain that your mattress cannot ease. Keep in mind that this is a mattress topper, so is placed on top of your current mattress to help ease your pain. If you like natural latex then this does the job! It is made from a natural raw material and is eco-friendly. 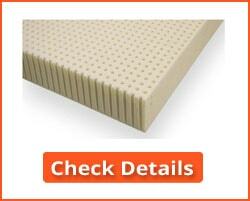 This AmericanMade polyurethane foam mattress topper can be used to firm up your existing mattress. It can particularly be used to correct any slight sagging in your mattress, as can the other mattresses included in this best firm mattress topper for back pain review. This polyurethane foam mattress topper is very supportive and helps to keep your spine aligned in a position that not only reduces the pain in your back but helps your body to begin repairing the causes of this pain. 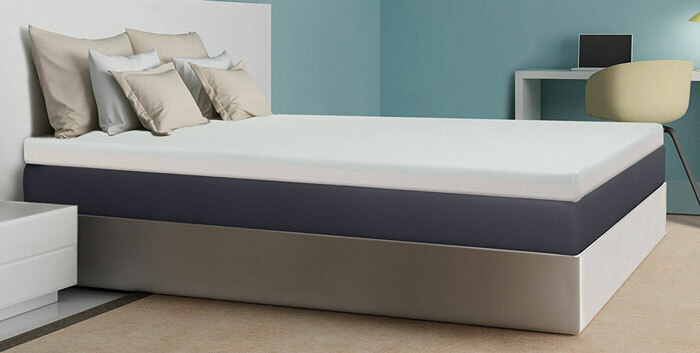 Like the others in this mattress topper review, it provides a firm top to your mattress. If your mattress is sagging then this is an excellent choice of the topper to overcome the problems that such sagging causes to your back. Supports your back with its 33 Lb compression. Good for overcoming the issues caused by a sagging mattress. Environmentally friendly to PURGreen standards to be free from toxic or hazardous chemicals. Lay it on any mattress to improve its support and provide you with a healthy sleeping surface that is good for your back. The warranty has to be obtained from the seller. Otherwise just general issues regarding inconsistency in level of hardness. Editor’s Notes: This is a good firm mattress topper for back pain if you like a standard polyurethane foam. It provides good support to your lower back and helps to keep your spine aligned correctly. So far we have discussed Talalay and natural latex, memory foam and gel memory foam. This topper is an alternative to these, with good supportive properties for your back. The SleepJoy ViscO2 ventilated memory foam mattress topper is constructed using a breathable form of memory foam. This enables the mattress topper to provide a healthy sleeping environment that also supports your spine and back in a position that helps reduce pain. It cradles your back within its 3-inch thickness, so it gets support without sinking too much. Keep in mind that it is just 3-inches thick, unlike some memory foams mattresses that are much thicker than the topper. A memory foam topper provides support without being too hard. Ventilated memory foam helps keep you cool while also helping to support your spine and lower back. Provides comfort and support for your spine along with a hint of the memory foam experience – many people love this. Plant-based ingredients are incorporated to reduce foam odor and the effect on the environment. CertiPUR-US certified, indicating low VOCs (Volatile Organic Compounds), no heavy metals (e.g. mercury, lead, cadmium and others) and no other toxic substances. Make sure you purchase the 3″ version because the 2″ topper seems to offer little support – as you may expect really. The multiple options in each topper size might be an issue with some people who go for the thinner versions. You cannot compare a 3″ King with a 2″ thick version. A 5-year limited warranty only: and you have to contact the vendor for details of this. Editor’s Notes: If you like memory foam then this may be a good choice for you. However, if you are looking for spine and lower back support, go for the thicker option in your size. We are reviewing King sizes only, but a 3″ mattress topper is sure to offer more support than its 2″ alternative. Otherwise, this could be a good choice if you like memory foam. You should be able to use our reviews of best mattress topper for back pain to find a topper to help relieve your back pain. Even if you have no back pain, these toppers should help you to avoid it. 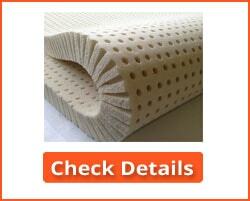 They are comfortable toppers that can give new life to an old mattress of any kind: foam or innerspring. Now check out our Buyer’s Guide for some assistance in deciding what the best type of topper meets your specific needs. How do you choose the best firm mattress topper for your back pain? First, it should be thick enough to offer sufficient support. A topper of 1″ is certainly too thin, and a 2″ topper will have to be constructed using a genuinely hard foam to have much of an effect. That is why all of our recommendations are 3″ minimum. Regarding hardness, some people with back pain need a hard sleeping surface while others a mattress with some give in it. You are advised to seek professional medical advice on the type of mattress that is best for you. If you existing mattress is too hard, then you use a softer topper over it to reach the level you need. The same is true if your physician, orthopedic surgeon or chiropractor recommends a harder sleeping surface. Simply choose a harder mattress topper! Any of those above can be used to provide a firmer sleeping surface. Some more than others, so check them all over and choose the option that best suits your needs. So why a firm mattress topper? Why not just purchase a firm mattress without the need for a topper? The main reason is cost. If you already have a mattress and develop back pain, then a topper can work just as well. While this review and guide may help you purchase a mattress topper suited to your needs, you are best to get professional advice on the hardness level of any mattress or mattress topper you buy. That said, each of the six firm mattress toppers included in our review are all suitable to offer the support you may need. Give each of them careful consideration. If you are fortunate and can find the answer to your problem in one of our recommended toppers, then follow the link to make your purchase. It’s easier than going the long way around to a search engine and trying to find the product through the navigation system. One simple click on our listings above is all it takes these days. Here are some of the questions we are asked most frequently by visitors to our site. We have provided the best answers we can, and they should help you make your choice from our top 6 firm mattress toppers for back pain. 1. Why does a mattress topper for back pain have to be firm? Answer: The reason for that is that your spine will sink into a soft mattress. It will then get no support, and your back pain will get worse. 2. Why not just buy a firm bed? Answer: First of all there is no such thing as a ‘firm bed’. It is the mattress that is firm, and you can use a hard topper over a soft mattress. Sure, buying a firm mattress may seem to be a simple solution, but a firm mattress topper is much less costly than a new mattress and does the job just as well. 3. Can a mattress cause back pain? If so why not get a new mattress? Answer: If your mattress is too soft, your body can sink into it, causing your spine to sag which can lead to back pain. If your mattress is too hard, it will exert pressure on your pressure points (shoulders, hips and so on). The portions of your spine not supported will then become misaligned, again leading to pain. Such pain is often felt mostly in the lower back which can be unsupported in most sleeping positions. A new mattress might help if know the real reason for your pain. In any case, a firm to medium firm 3″ thick mattress topper or pad will provide enough support on your existing mattress to help relieve the pain. So no need to purchase a completely new mattress, only a significantly less expensive mattress topper. In less severe cases a 2″ topper may be enough. 4. What's the best topper for back pain: memory foam, latex or polyurethane? Answer: None of them can truly be described as best. Some people like memory foam, but the amount in the thickness of topper doesn’t really give a true memory foam experience. 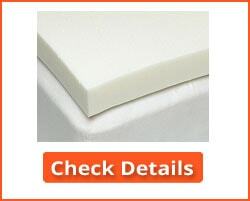 There’s not much difference between 3″ memory foam and 3″ Talalay latex. Possibly these two are better than polyurethane foam, but, to be honest, it’s not possible to tell because each case is different. Different people have different opinions on each type of foam. Go for the one you feel you would like best – you may find your first choice works perfectly for you. A medium firm to firm topper would be best – the thinner the topper, the firmer it should be. So a firm 2″ topper or a medium firm 3″ topper. 5. I have memory foam mattress on a box spring foundation. Do I have to use a memory foam topper? 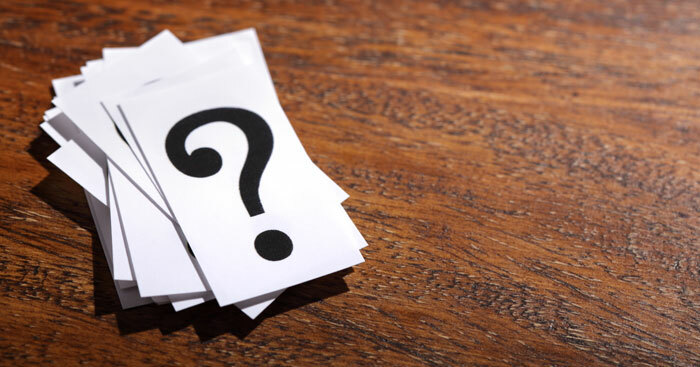 Answer: No – you can use a latex or polyurethane foam topper. One question though: is your box spring in good condition? A worn foundation can lead to a lack of support, and through that, back pain. A good solid foundation can make all the difference between adequate and insufficient support for your spine, no matter what type of mattress you have. So check the box spring and either renew it or replace it with a solid wood or slatted foundation if you have back pain. A medium to firm foam topper might also do the trick! In our best firm mattress topper for back pain reviews, we have suggested 6 of the best toppers we have found. They are all medium firm to firm mattress toppers. Each of them can help to reduce or prevent back pain caused by too soft a mattress, or a mattress that is worn or has sagged. 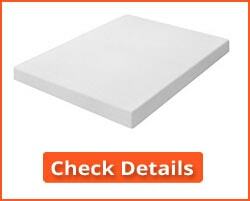 It makes little difference whether it is a memory foam mattress topper you choose or one made using latex. Choose the one you like best, and you will find a big difference in comfort and support.